Service is key to a HVAC system that runs well. Regular air conditioning and heating maintenance is vital to ensure your air conditioning and heating system operate effectively all year long. It is important because your air conditioning and heating system have a way of breaking down when the weather is at its worst. Dirty or defective air conditioning and heating system components will affect your unit’s efficiency and also could increase your utility bills. Our professionals are trained and factory authorized to perform a full system maintenance on all makes and models of air conditioning equipment. When you have your air conditioning and heating system maintenance with Southeastern Air Conditioning and Heating your technician will be able to repair minor problems before they result in major breakdowns. Southeastern Air Conditioning and Heating understands that you rely on your air conditioning and heating system to maintain your comfort throughout the hot summer months and also the cool winter months that is why we offer a Preventative Maintenance Agreement to prolong the life of your comfort system. We follow Energy Star Recommendations and also provide priority service with discount prices for Preventative Maintenance Agreement customers. In addition, maintenance agreements help maintain and also validate manufacturer warranties. 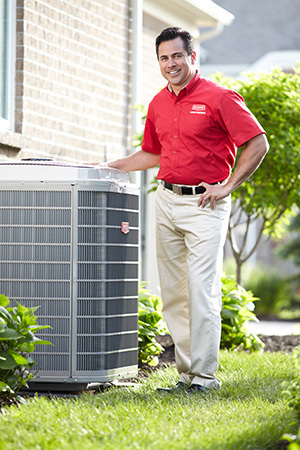 Our expert technicians are ready to maintenance your air conditioner and heating system. So, don’t wait contact us today to schedule your air conditioning and heating maintenance visit.